Did you recently purchased a pair of work boots? Did you already experience that first heart pang seeing how fast they get dirty? Well, you should learn how to efficiently clean your work boots in order to restore their first good looks. But more than that, taking good care of your boots means you can use them longer. 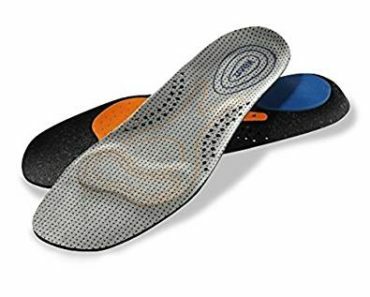 Keeping them clean will add many months or even years to their life, keeping your feet more protected against all sorts of work-related hazards. Basically, cleaning them adds lots of points to their shielding capabilities. But how do you do that? Should you put them in the washing machine or not? In fact, can you use water or not? Does cleaning your boots makes them less waterproof? How about leather work boots, is there anything special for that? 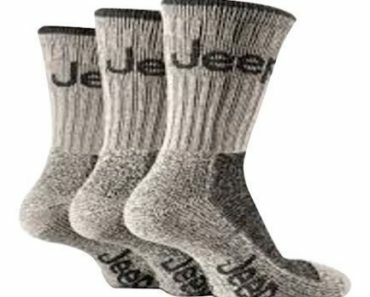 This one works wonders for any sort of moderate grease stain, as well as dirt and mud. So grab a clean cloth, dab some toothpaste on it, and rub it on your boots. After that, simply wipe the toothpaste with a wet cleaning cloth. This one works great for oily residues and chemicals. So pour some of this on a cotton cloth, wiping the boots carefully. No scrubbing, though! After you’re done, you can also sprinkle some baby powder on your boots, to make them look better. Vaseline, as well as petroleum jelly, work wonders for mild stains. So you can simply grab a clean cloth, put some vaseline on it and cover the surface of your work boots. After that, wipe the vaseline off with a dry cloth. Now grab another piece of cloth, this time a damp one, and wipe your boots again, before letting them air dry to make them look shiny again. This is a well-guarded secret of cleaning work boots, and it’s perfect for scuff marks. And you get plenty of those at the end of a working day, without necessarily getting your boots dirty. So grab your pencil and rub the scuff marks with the eraser, then wipe the spot with a piece of cloth. Yes, sometimes when your boots are way too dirty, you can’t get away without using water for the job, but you have to know how to wash your work boots smartly. So grab a cleaning cloth, dip it in water, and wipe the dirt off your boots. Let them air dry, and if there are still stains or scuff marks on your boots, you can use one of the other cleaning agents we talked about before. Now that we’ve seen what you can use to clean your work boots with, let’s see how you actually get the job done. Cleaning your boots doesn’t just entail getting dirt or stains off, it also means you need to polish them or even waterproof them. Grab a soft brush and get rid of all the extra dirt or mud that might be covering your boots. You might find it better to use a damp brush for that stubbornly clingy mud. Now get your foam applicator rolling, and remove that extra dirt hanging to your boots. Apply Vaseline, oil or polish on a clean cloth and wipe your boots. If your boots have leather uppers, you can use leather polish now to make them look smart, using the instructions on the label. 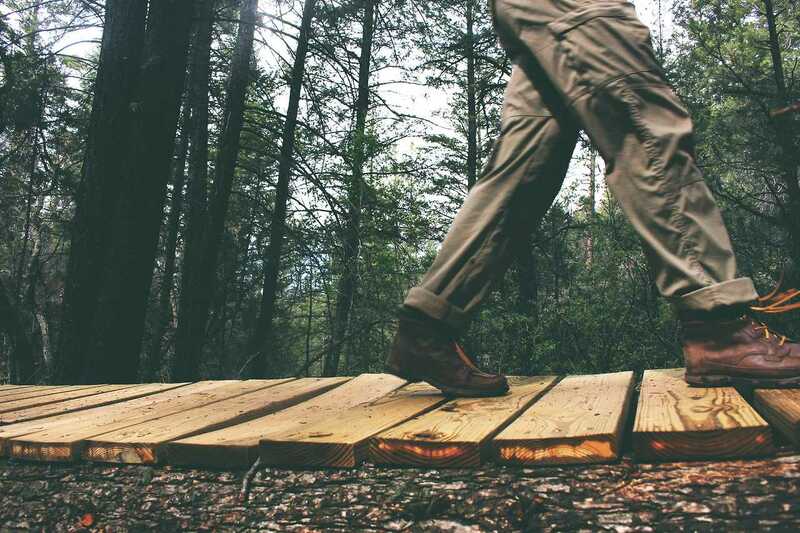 If you want to weatherproof your boots, there are plenty of weatherproofing products you can use for that, including sprays or creams especially designed for work boots. Remove the insole, and apply some spray protection inside the boots, allowing them to air dry if your boots aren’t that dirty inside. If the insides of your boots are fairly dirty and smelly, you can shampoo them. After that, wipe the shampoo with a damp cleaning cloth. Remember to let the boots air dry, so don’t put them in the dryer to hasten that process. The oven is a no-no too. What about Full-grain Leather Boots? Mix vinegar with water in equal parts. Grab a soft cleaning cloth and soak it in this solution. Gently dab the stains with this cloth. So no rubbing, just dabbing. Now grab another cleaning cloth and damp it with some water. Use this piece of cloth to gently wipe the boots. Get another clean piece of cloth, this time dry, and wipe your boots down. Allow the boots to air dry, without placing them near a radiator or stove. Now you can apply polish and waterproofing products. Dab the uppers with a damp piece of cleaning cloth or sponge. Get some balls of newspaper and fill the boots to help them keep their shape. Allow the boots to air dry. Grab a soft cleaning cloth and dip it in water. Now sprinkle some baking soda on top of the moist cloth. Rub the scuff marks gently with this cloth. So no rough scrubbing! Once that’s done, get another damp cloth and wipe your boots. Now get a third, dry, cleaning cloth and wipe your boots again. But what if you get home with a lot of dirt and mud still caking your leather work boots? Fill them with balls of newspapers to make sure they keep their shape. Grab your brush and clean the dry dirt. Get a reliable leather cleaner and use it according to the instructions. Polish your boots using a clean piece of cloth and Vaseline. Apply some saddle soap to keep your boots looking sharp. Not all work boots are made from full-grain leather. Nubuck and suede leather are very common materials for the uppers, but they demand some special care. So in that regard, there are some different ways how to clean your work boots with household items. There are also some differences in how to clean the inside of leather boots depending on the type of leather used for their uppers. 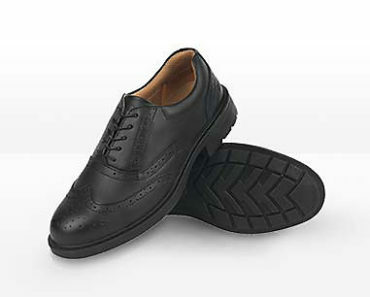 The brush used for removing dry mud from suede or Nubuck leather needs to have plastic or rubber tips that are gentler. There are specific sprays designed for Nubuck or suede to weatherproof your work boots, that are also gentler. Keep in mind that Nubuck and suede require different conditioners for when you wash the insides of your boots. There are also different spray protectors for Nubuck/ suede uppers. You can’t polish suede boots. If you want to get rid of grease stains from your suede boots, you need to use solvent-based cleaners. You can also use very fine sandpaper to clean suede uppers, but remember not to scrub them. Just rub them gently with circular movements, until the stains are gone. How many times do I need to repeat the cleaning instructions to make sure my boots are perfectly clean? It all depends on how much cleaning your boots need. But you’ll need to follow the instructions just once in 99.99% of the cases, making sure a step is complete before moving on to the next one. So don’t start polishing your boots, if you haven’t removed all the dirt. Why can’t I place my boots near a heat source to help them dry faster? We know waiting for your boots to air dry is quite irksome, particularly if you washed them inside. But if you place them near a radiator, the leather might become scorched, which is a particular problem for full-grain leather. Why do Nubuck or suede require different cleaners? These types of leather are more sensitive than full-grain leather, so they might get damaged by the powerful sprays or conditioners used for cleaning full-grain leather. Are there certain types of conditioner that work both for suede and Nubuck? Yes, but you have to look for them specifically. Not all conditioners and spray protectors work for both of them. What’s the best way to get rid of stains? The best way is using solvent-based cleaners, but nail polish remover works just as well for mild to moderate stains. If you have suede boots, you can even use fine sandpaper, but don’t try using that for full-grain leather or Nubuck uppers. Does frequently cleaning my boots make them less waterproof? Yes, this can happen, but it’s not that simple. Even if you don’t wash your boots, the constant exposure to dirt, mud and work-related impacts can make them less waterproof, as well as less resistant altogether. But if you clean them each time you need, you can also make sure to waterproof them again. 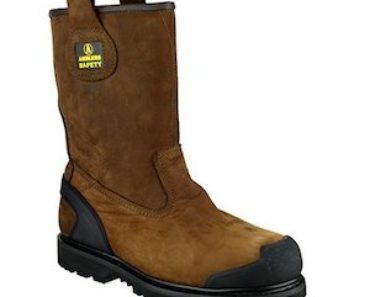 What’s the best way to waterproof my work boots? After you’ve cleaned them thoroughly, you can apply a protective spray depending on the type of leather used for your uppers. The best waterproofing substances are mink oil and beeswax, so make sure they’re compatible with your boots. How will I know my boots need waterproofing? Grab an empty spray can and fill it with water, then spray some on your boots. You can also wet your fingers and sprinkle a few drops on your boots. 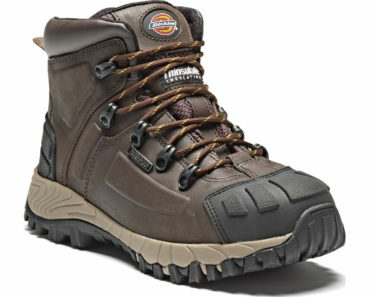 If you notice the water beads sliding down on the surface of your uppers, the boots are still waterproof. Can I wash my boots in a washing machine? It’s often emphasised that, even if your boots are really dirty and you need to use water, you should never literally wash them. However, some boots are washable, but only if that’s specified on the tag. So you should always follow the instructions, seeing as some boots can actually ruin your washing machine because of how heavy they get once they’re wet. Other times, your detergent can ruin the material used for the upper. Basically, the manufacturer’s instructions should always be followed. Now that you’re here, you know how to clean leather work boots with household items, how to clean the inside of leather boots, and how to properly wash your work boots. And you also know the differences between each type of leather and how you should protect your boots accordingly. So at this point, feel free to share with us your particular experience. What other tips do you have for cleaning work boots? 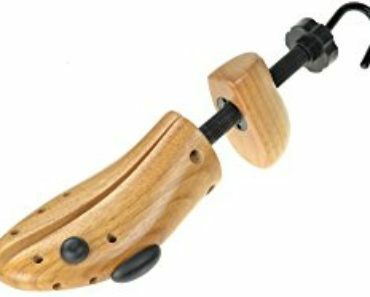 What mistakes have you made so far and which products do you think are the most effective?